Seaside Heights officials say that while there are no guarantees, it appears as if the upcoming beach replenishment project slated to be completed island-wide beginning this year will not impact the summer of 2017. Mayor Anthony Vaz said he and his staff have held multiple meetings with officials from the state Department of Environmental Protection on the matter – a special concern in Seaside Heights given its boardwalk full of businesses. There has been no full schedule released as to which areas will receive replenishment – a project under which 22-foot dunes and at least 200 feet of beach berm will be engineered and constructed – however Seaside Heights officials were proactive in lobbying against completing the project in the borough during the busy summer months. 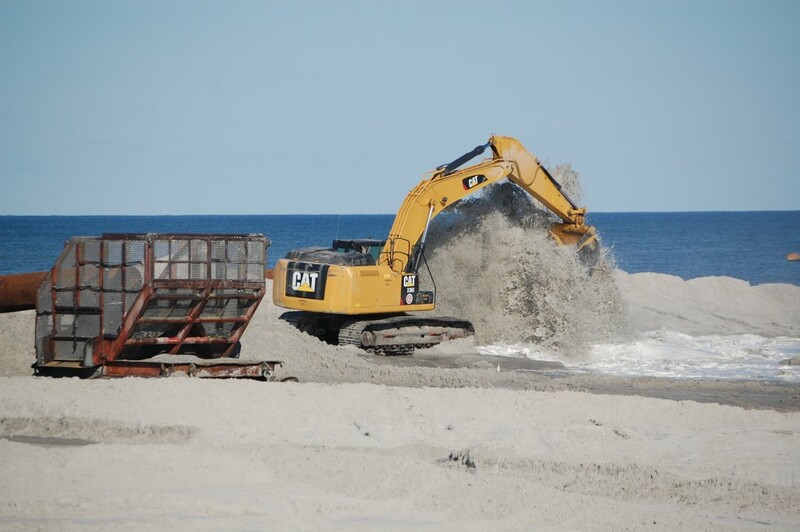 Officials from the U.S. Army Corps of Engineers, which is administering the project, have said swaths of beach about 1,000 feet long will be closed during replenishment, as heavy equipment moves block-to-block. That translates to about two blocks of closures at a time in Seaside Heights. In November, North Jersey-based Weeks Marine was the apparent low bidder on the project, which is expected to begin this year. The company bid $128,820,433 to complete the project. Thus far, the Army Corps is still in a due diligence phase, examining the three proposals that were received.